Neatly trimmed nails is a sign of a well groomed man, but keeping them looking good requires a pair of good nail clippers that can cut through those tough ones without leaving behind torn or jagged nails. So, here is a look at the 12 best nail clippers for men. The Seki Edge Fingernail Clippers are made in Japan from twice tempered stainless steel with a hand finished cutting edge. Reviews for this nail product are extremely good. These clippers maintain a sharp edge that cuts cleanly and lasts longer than most other nail clippers on today’s market. 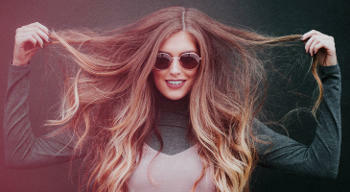 Users state that they experience fewer rough edges when using this tool. 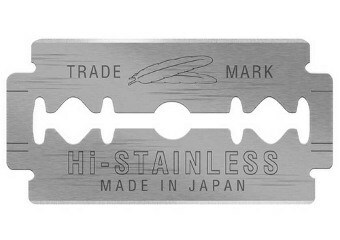 The Harperten Stainless Steel clipper set comes with both a fingernail and a toenail clipper. 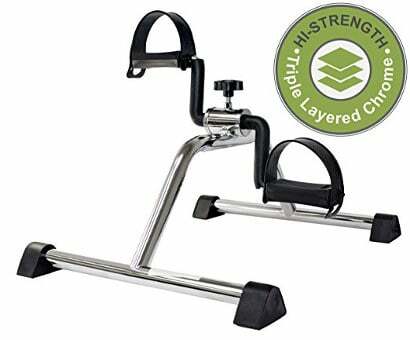 It has an ergonomic handle and is made of thicker metal with matte finish. The clippers are easy to hold and manage while cutting your nails. They also come with a reusable pouch which is perfect for travel. 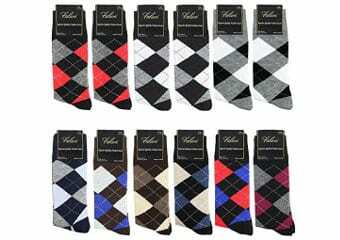 The product is backed by a 30 day 100% satisfaction guarantee. Users like the fact that the lever action is sturdy and say that these clippers won’t rip your nails or leave them jagged. Best of all, they maintain a sharp edge for a long period of time. 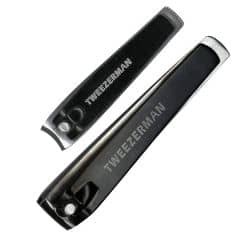 The Tweezerman Deluxe Nail Clipper set includes both fingernail and toenail clippers which are durable and easy to clean. They are made of stainless steel. 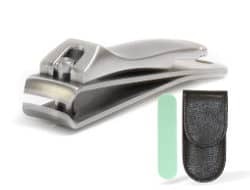 This fingernail clipper is curved and the toenail clipper is straight. Users find these nail products to be nice and large, but feel the straight blade on the toenail clippers to be a little awkward which takes a little getting used to. They also mention that they wish the fingernail clippers came with a built in file. The KlipPro Large Nail clipper is a nicely designed pair of stainless steel clippers that are about 3.3” long and have a curved blade. They have an easy grip handle and a build in nail file. Users really like them and find the blades to be extremely sharp and strong. In addition, they like the fact that this nail tool comes with a built in nail file. 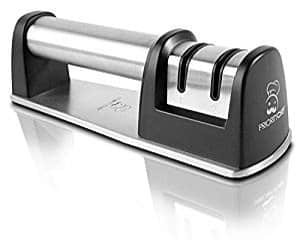 The Mehaz Professional toenail clipper is a high quality stainless steel clipper that comes in a rubberized coated sleeve. The handle can be adjusted for both right and left hand use. The edge of the blade is sharp and this tool captures most toenails between the clipper itself and the rubber casing. 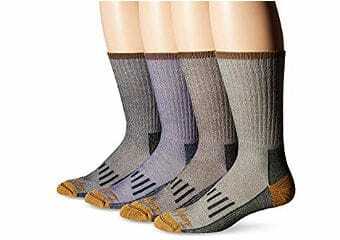 Users report that it is easy to hold and use, and cuts evenly through the toughest toenails. It is also very sharp and heavy duty. This is a nice clipper set made of stainless steel that is 3” long with a built in file. These large nail clippers are extremely sharp and cut your nails crisp and clean. The curved handle is easy to hold, and users really find that the pouch which comes with them is very handy. They find that these clippers are sturdy and easy to use. 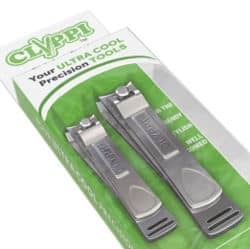 The Clyppi best nail clipper set with case comes with both the fingernail and toenail clipper as well as a case to keep the clippers in. These clippers are made of high quality stainless steel with a matte non slip finish. 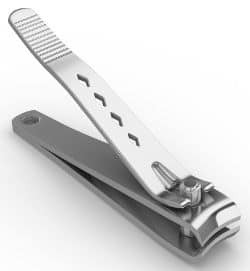 Users state that these nail clippers clips their nails cleanly without splitting or leaving behind ragged edges. 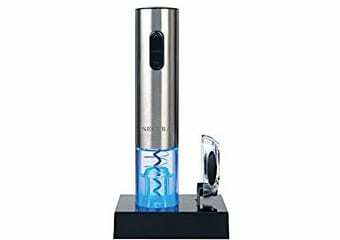 Users appreciate that these clippers are made of sturdy metal and that they feel good in the hand which makes for better control. 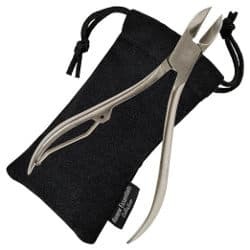 Made from high quality statinless steel the ToeNail Nippers Toenail clippers come with a lifetime guarantee. 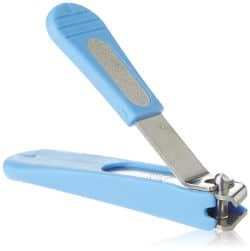 These toenail clippers are extremely sharp and tough and will cut through even the thickest toenails with ease. Users like these clippers because they are easy to use, easy to clean and won’t rust. These toenail clippers should last several years if not for a lifetime. 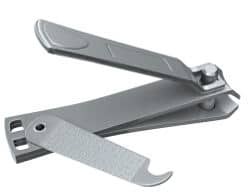 Designed for use on both fingernails and toenails and measuring over 3” long these heavy duty stainless steel nail clippers fit well in the hands and are easy to press resulting in a cleanly cut nail. They also come with a lifetime guarantee. The curved cutting edge is extremely sharp helping to reduce or eliminate those ragged edges. 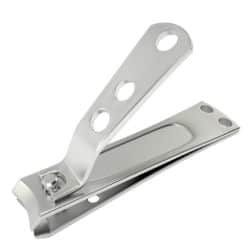 Users really like these clippers and state that they are well made, durable and easy to use. They also like the fact that these clippers are rust resistant. 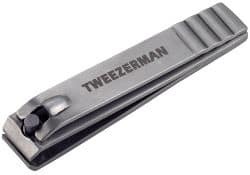 The Tweezerman Professional stainless steel toenail clipper is made of stainless steel and the handle is designed to help prevent the clipper from slipping while you are using them, resulting in better control when you are cutting your toenails. These are heavy duty slippers with a fairly sharp cutting edge. However some users don’t like the straight the cutting edge on these clippers. The Clyppi fingernail clipper with swing out nail cleaner/file comes with a lifetime guarantee and is well made of thick stainless steel. Users find that this nail clippers feels comfortable in their hand and is sharp resulting in cleanly cut nails. While users do feel the file is a little on the short side, they state it is great for those quick touchups that is necessary from time to time. These are a small set of clippers making them difficult for people with larger hands to be able hold them easily. 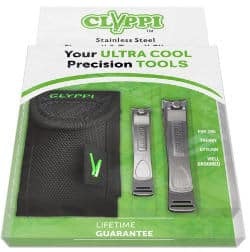 Made of brushed stainless steel the Clyppi best nail clipper set comes with two clippers, one fingernail clipper and one toenail clipper. 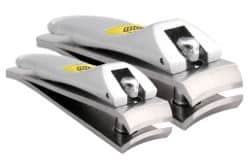 These clippers are made of high quality stainless steel and the cutting edge is extremely sharp which allows these clipper to cut the nail cleanly without leaving your nails ragged. Most users feel that these clippers feel good in the hand and also find them to be extremely durable. 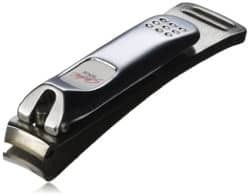 Finding the best nail clippers for men may not seem like a big deal, but if you are tired of buying those low quality nail clippers that break after just a few uses, you may be ready to try one of these high quality pieces of personal grooming equipment.